Every Leader Needs a… Jethro? 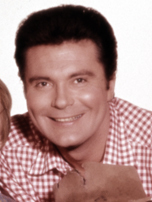 That’s right, Every leader needs a Jethro, and no, I’m not talking about the one from the Beverly Hillbillies, but a much older one and one who was very wise. This Jethro was the father-in-law to Moses. After Moses spend some time with the family, it was then time for him to get back to work. What did Moses do for work? According to the scripture (Ex 18:13-16) he sat around all day acting as sole judge for the people handling disputes and arguments over everything from A to Z. When Jethro saw what was going on he recognized that it was not a good thing that Moses was doing. 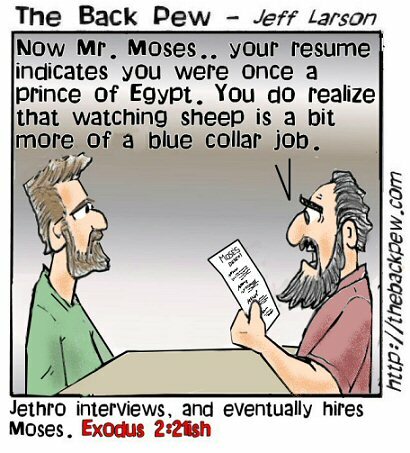 I think he saw the beginnings of a workaholic in the makings and perhaps new what it might do to Moses and his family. Jethro offers some great advice to Moses and we will take a look at it and break down the advice, but, first it is important to see that Moses took the advice from Jethro and didn’t ignore it. 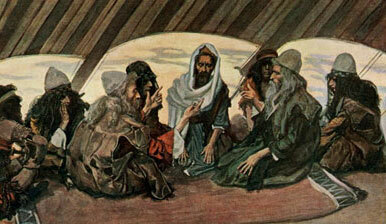 (Ex 18:24) I think that this was a big step in the “young” leadership level of Moses. The following are 3 reasons why we might not be as smart as Moses and ignore advice from others. First, because far too many times we as leaders think we have it all figured out and we often turn a deaf ear to other advice from Godly men and women. After all, God put us in charge right? It also could be that we are insecure about our position and don’t want to take advice from others in fear that we will not look as smart. Yet, another reason might be that we are in the position and enjoying the power a little too much and we don’t yield ourselves to other advice because we see it as a sign of giving up power. If you have found yourself dealing with any of those thoughts you need to pray them out of your system and recognize that Satan doesn’t want you to be smart like Moses and learn from others around you that are older and have more experience. Young leaders have a greater tendency to fall into these pitfalls because they have had fewer years of experience and that budding desire to be young man or woman of God sometimes leads us make hasty decisions that we think are correct, but are not. There is much excitement and emotion in youthfulness. So let’s take a look at the advice that Jethro gave Moses. There is much we can learn from his advice also. The wisdom of age allowed Jethro to point out to Moses the end result. (Ex 18:17-18) There is a lot to be said about knowing the end result. Often times we start a process or idea without often thinking all the way through to the end. This can lead to unnecessary steps in a plan or even repeated steps in a plan which wastes time, energy, and resources. Second, Jethro encouraged Moses to use other people and not try to do it all by himself. This process is called delegation. Not too many leaders want to dive into that because they would rather “do it their way” or “in their time.” Again I think there is a fear of giving up power or control when you delegate things. When you have delegation in ministry you have to share the successes and the defeats, the good and the bad. A selfish person finds it hard to share success with others, but there is no room for selfishness in ministry. Jethro reminded Moses what his main job was, to be the representative from God to the people and to teach the laws of God and show the people how to live. (Ex 18:19-20) The judging had become a bigger issue for Moses and distracted him from his main purpose as leader of the Israelites. Jethro’s advice was to select “capable men” (Ex 18:21) and not just anybody to share in the responsibility and position. Here is the last leadership principle found in this chapter, Good leaders surround themselves with other good leaders or team members. These 3 descriptions are very similar to the qualifications for deacons and overseers found in Timothy. A good Baptist joke I know is that there are some churches that will take the list in Timothy and only focus on the divorce issue. It doesn’t matter what kind of person they are as long as they haven’t been divorced. That one qualification seems to rise to the top over the other ones. A friend of mine has joked before that you can be a non-tither, wife and child beater and serve as a deacon as long as you haven’t been divorced in some churches. Not all churches are like that and carefully look at all the qualifications equally. A sure way to cause problems for yourself in leadership is just to settle for anyone to serve and help you in ministry and just throw anyone into a position without first. I realize that you may say, there are not a lot of candidates to choose from out there, which is true but you can’t lower the Biblical standards just to fill a position. There must be another way to go about staffing your needs. The result of shared ministry and delegation is that you can accomplish more together as a team than you can alone. The old Oxen story goes that if 1 ox can pull 500 pounds each, but 2 oxen yoked together can pull 1,200 pounds. Together more is accomplished. Look at the Exodus 18:23, the scripture says it will both benefit Moses and the people at the same time. This entry was posted on Wednesday, February 3rd, 2010 at 10:44 am and is filed under Leadership, Religous and Life. You can follow any responses to this entry through the RSS 2.0 feed. You can leave a response, or trackback from your own site. 2 Responses to Every Leader Needs a… Jethro? I can not agree with you in 100% regarding some thoughts, but you got good point of view.